Dentophobia, or fear of dentists, is a common phobia among people of all ages. It is sometimes related to iatrophobia, or fear of doctors, as well as trypanophobia, or fear of needles. Dentophobia may be mild or severe, and can eventually lead to devastating consequences. Dentophobia can be divided into numerous elements. Most people with this phobia fear more than one element, while those with severe dentophobia may fear all or most elements simultaneously. The dentist – Like doctors, IRS auditors and others in commonly feared professions, “The Dentist” is often cast as cold and unfeeling at best, or sadistic at worst. If you have had a negative personal experience with a particular dentist, you may be more prone to this phobia. Pain – Until relatively recently, completely painless dentistry was difficult or impossible. Even today, some procedures may involve a slight amount of pain. Many people are extremely sensitive to mouth pain and fear that the pain may be excruciating. Numbness or Gagging – Some people, particularly those who have experienced choking or difficulty breathing, are afraid of having their mouths numbed. You might worry that you will be unable to breathe or swallow. 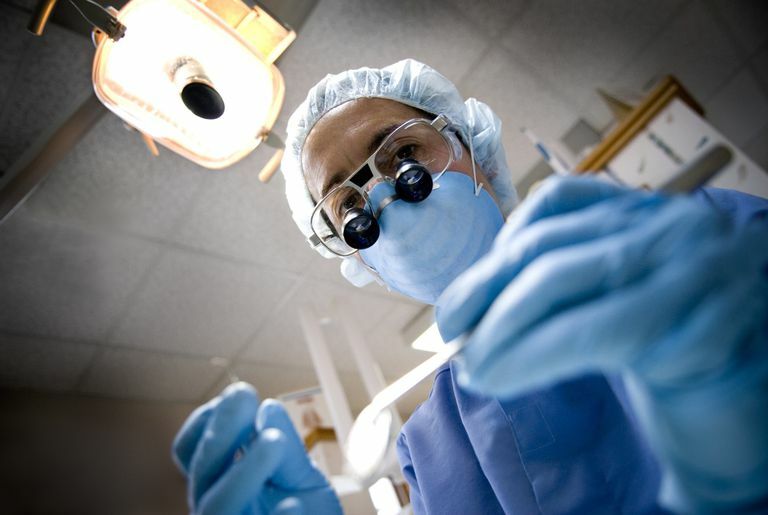 Sounds and Smells – Many people, particularly those who have had previous bad experiences with dentists, are afraid of the sounds and smells of a dentist’s office, particularly the sound of the drill. Needles – If you have a needle phobia, you might be extremely afraid of the injections that dentists use to numb the mouth. Whether due to genetics or simple luck, dental health varies dramatically from person to person. Some people are able to last for years between dentist visits with little or no impact on their teeth or gums. Others are prone to decay and gum disease, no matter how frequently they brush and floss. If you are not one of the lucky few, dentophobia can have real consequences in your life. Tooth decay tends to worsen over time. Small cavities that once could have been easily filled can lead to broken and rotten teeth, requiring expensive and invasive root canal therapy and reconstructive work. This knowledge can, in turn, make you even less likely to seek treatment, creating a vicious cycle. In the modern world, we are expected to have clean, healthy, shiny teeth. If yours become broken and rotted due to decay and neglect, you might experience a social stigma. It may become more difficult to get certain jobs. Dating might be impacted and even your friends may start to talk. This can lead to isolation, depression, social anxiety and even agoraphobia. In some cases, dental problems can cause infection. Failure to treat the infection could cause it to spread, causing medical illness. Infected tissues also hurt, so pain is not an uncommon effect of dentophobia. If your dentophobia is severe and paralyzing, it is best to consult with a trained mental health professional before beginning dental treatment. Cognitive-behavioral therapy, medications, and hypnosis can help you get your fear under control. Once your phobia is at a manageable level, you will be able to visit the dentist. However, it is important to choose the right dentist. Today’s dentistry is much different than what you may remember. Nonetheless, not all dentists use the same tricks and techniques to assist patients with phobias. It is always acceptable to schedule an initial consultation without a full exam and workup. When you call for the appointment, explain that you suffer from dentophobia and are not ready to book a full exam. This initial appointment will allow you to develop a rapport with the dentist and get used to his manner and demeanor. As you progress to further appointments, remember that you are always in control. Work out a signal with your dentist that you can use when you need a break, and a different signal to let the dentist know that you need more anesthetic. Even such matters as how far back the chair is tilted and the order of work performed can be discussed in advance. Many people like to bring a portable music player or even DVD system to their appointments (remember your earphones!). Some dentists offer these devices or even virtual reality systems. These items can distract you and help you relax. Dentophobia is a common and treatable phobia. Untreated, however, it can lead to a range of physical difficulties. See a mental health professional first to bring your phobia under control, and then search for a dentist that makes you feel comfortable. Finding a dentist that you fully trust is worth the effort.